OIT is pleased to have been able to work with student services to deliver the following enhancements to the registration process, which will go into affect for students registering for Summer and Fall 2012. Priority Registration. Allows students to register for classes early, based on number of credits accumulated. Priority registration begins April 9. Prerequisite Registration. Allows students in good standing to register for the next course in an academic program sequence while enrolled in and actively pursuing the prerequisite to that course. Wait List. Students sign up to a wait list for courses that are full and are automatically registered when a seat becomes available. Flexible Payment Options. $60 tuition down payment locks in classes for Summer and Fall. Get more information on the registration changes here. Transcript publication and sharing are merely a few clicks away! Last month, OIT, in conjunction with Students Affairs and Parchment, Inc. for the Docufide by Parchment platform, developed a resource for generating electronic transcripts. The resource allows students to order and electronically send their transcripts to other educational institutions. City Colleges first Technology Advisory Council meeting was held today. It was a great meeting. The Council is comprised of an awesome group of outspoken Faculty and Staff that will most definitely provide us with insight that can help us to strengthen our technology offerings and platform. Great beginnings!! The integration of technology into education is a hot topic. Today’s student are considered Millennial learners, which typically refers to the fact that they incorporate some form of technology into everything they do. This can create a gap between the students and the teachers due to the fact that many teachers do not incorporate technology into their teaching and lesson plans. In turn, students are suffering and not performing their best because of the communication gap, poor presentation and general lack of interest. Knowing this, I have outlined a 5 phase process that can be used to incorporate technology into education: to incorporate the iPad. Enjoy! When determining a relative advantage one should explore what will be gained from implementing said technology into the classroom. Generally, a good investment can be determined by deciding if the rewards outweigh the risks. In this phase of the integration certain questions will be asked including but not limited to: What problems am I addressing? And, does this method offer a solution with sufficient relative advantages? In this case, one problem that would be addressed for virtually any group of students would be capturing and retaining their attention, and delivering the material in a manner in which they will be captivated while they are learning. Advantages of incorporating the iPad include higher levels of interaction between the student and his/her peers as well as the instructor and allowing students the ability to access course materials cheaper and more conveniently. The iPad will allow the instructor to access learning materials that may not have been available to students while engaging them into the lesson in more ways than one. Applications are allowed at a level of creativity that will address any learning style. In this phase of the integration plan the objectives should be determined. While determining objectives the instructor should set goals that he/she would like to see the students meet. Setting objectives early on will help in deciding if the technology is being implemented to the degree in which you would like to see it implemented. These objectives will later aid in assessing how well the technology was implemented. The ultimate goal of integrating the iPad in the classroom is to enhance student performance but it is imperative to determine how. My objective would be to get students to a level in which they are able to utilize the various apps on the iPad to make their educational experience greater. Upon a successful integration, students should be able to use the apps on the iPad, either independently or in a group, to expound on what has been taught in the classroom. While being used in class, the student should be able to participate in either educational games initiated by the instructor or, use the iPad to find information to answer questions or elaborate on discussions taking place in the class. Outside of the classroom, students should learn how to utilize the app store to search and install applications on the device that will aid in their understanding of the material as well as use the device to bring in information to add to the lesson. Once phases one and two have been completed, the next step is determining how the plan will be executed, which is why phase 3 involves designing integration strategies. To integrate the iPad into the classroom, I would first conduct a pre assessment of the students to determine how technologically savvy they are. Upon completing the assessment, I would then conduct an open forum survey to discuss whether or not the students felt comfortable with the new technology and allow them to voice reasons why they felt either way. Once a consensus has been reached, assuming the students are in favor of the integration, I would then compose a list of websites and applications that would be used in the class and make the information available via handouts and a wiki page. Immediately following each lesson, there would be notes and discussion questions available on an open forum for students to follow with what was covered in class as well as present questions that they may have come up with after the session has ended. Once it has been determined how the technology will be implemented, the next thing to do, in effort to be proactive rather than reactive, is to prepare the instructional environment. One advantage of the iPad is its battery life; the iPad can hold power for up to 10 hours which helps tremendously in terms of electrical outlets. As long as the students have charged the device, hazardous cords that can cause tripping are not needed. Aside from setting up the physical classroom, the next phase of preparing the instructional environment is prepping the iPads for use. To do so, I would make sure that all iPads are running on the same software version and are pre-loaded with the same apps that will be needed to effectively participate in the course and following discussions. The final phase of the technology integration plan is to evaluate and if necessary, revise the integration strategy. To determine whether or not the iPad was successfully integrated into the course, I would challenge the students to research a topic independently and deliver their findings to the class; I would also assign groups and have them present various functionalities and information on the apps being used in the class. Finally, students would have to use the apps to complete all assignments in order to receive full credit. If the students are able to successfully completed the above mentioned tasks I will know if the integration was successful. In addition to the tasks, I would conduct a post assessment to note what were some of the strengths and weaknesses of using the iPad in the lesson, find out if students preferred using the iPad in oppose to the traditional lecture style and lastly, I would hold an open discussion to get insight on how comfortable the students felt with the technology. 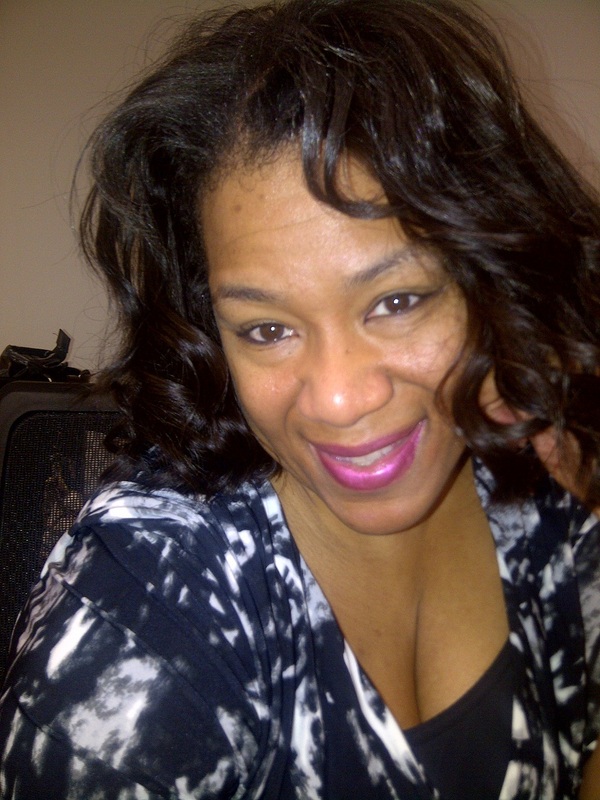 Upon receiving the results, I would make adjustments as needed and proceed with the course. The network refresh project closed last month after successfully installing throughout the district 445 new switches to replace and re-purpose outdated infrastructure. In addition, 370 wireless access points were installed to improve wireless connectivity coverage and throughput. The district’s edge network routing was also upgraded to a faster and more robust protocol. The kick-off meeting for the Technology Advisory Council (TAC) is this Friday, March 23 from 9 – 11 am at District Office, 226 W. Jackson, 2nd floor. The TAC will enable City Colleges of Chicago faculty and staff to be more involved with technology decisions, and came about as a direct result of feedback to our new CIO Arshele Stevens as she introduced herself to stakeholders throughout the district. Check the TAC website for a list of current members and the annual meeting schedule. The meetings will rotate to different locations throughout the district. Recently at Apple’s education-themed event at the Guggenhiem Museum in New York City, Apple unveiled iBooks Author, a OS X application for creating digital books, available in Apple’s App store to download for free. The idea behind iBooks Author is teachers and other educators should be equipped with tools that empower them to create and distribute their own digital materials to the masses.. Traditional non-digital books are materials that one uses to gain some knowledge and then apply this knowledge to lead a better, more productive life. In short, many believe that if you go to school, graduate and get a job, you will have all the required tools for leading a happy life. The cost of text books, however, is exorbitant and since many students struggle to afford them, text books purchases often represent an obstacle on the road to success. iBooks Author strives to be to the book industry what iTunes is to the music industry. In 2001, when it was first introduced, iTunes immediately began reshaping the music industry through the iTunes “jukebox” software that lets users create and manage their own music library on their Mac. Today, iTunes accounts for 70 % of all digital song sales in America. In essence, Apple took a simple concept whereby people were given the choice to download a single song for merely 99 cents, rather than downloading the entire album at a higher cost. Initially, most music labels saw this delivery method as a threat, but contrary to popular belief, the iTunes delivery method caused music piracy diminished. iBooks Author hopes to attain similar success, by staying focused and keeping the process simple through, for example, the use of drag and drop features not only for videos, but for photos and documents too. Moving beyond the main text, authors can also use iBooks Author to arrange glossaries by highlighting and clicking words, and clicking again to add a definition. 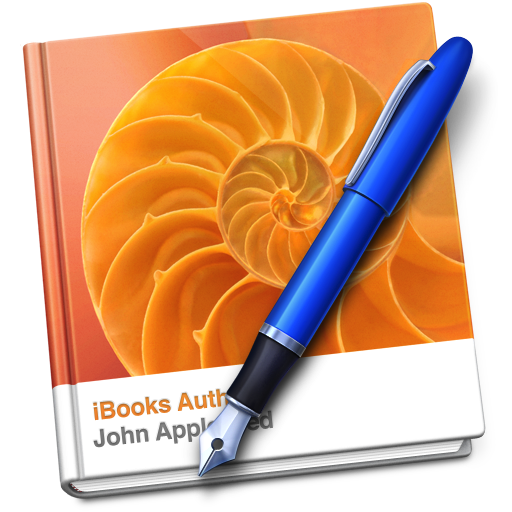 In addition, authors can use iBooks Author to publish straight to Apple’s App store. Apple is hoping that the iBooks Author app will turn educators in authors, the same way that iMovie and Garageband turned amateur into video and audio editors. iBooks Author is an amazing program that enables anyone to quickly create a polished interactive e-book. By using iBooks Author, in conjunction with the iPad, teachers can engage in many new and meaningful academic activities with their students, as long as they all own iPads, of course.